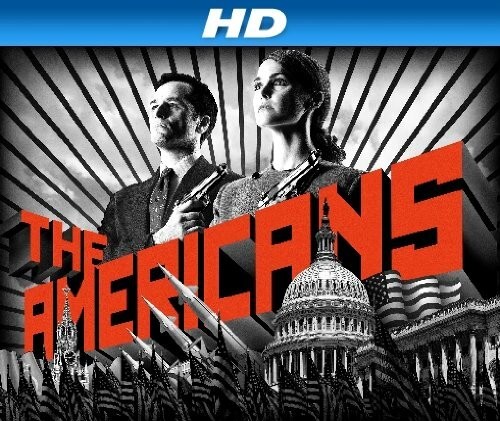 Quick Take: The Americans, "Mutually Assured Destruction"
Review: The Americans, "Mutually Assured Destruction"
(S0108) Philip and Elizabeth are ordered to stop another KGB operative from carrying out a mission that was revoked – assassinating fourteen American scientists who are working on a missile shield. Apparently the rogue operative has taken it upon himself to follow through on it and has been MIA. I must say Philip and Elizabeth's initial plans are quite humorous and clever -- they trick the FBI into providing security for the scientists by staging a car explosion. They stake out one of the scientists who is on the assassin’s hit list and watch him as he and his wife get into their car. When the couple has engine problems the husband checks under the hood of the car and sees that it is rigged with explosives. Once the couple is a safe distance away from the car Philip blows it up. Their plan works – the FBI believes that this was a close call and the following day provides protective custody for the scientists and Philip and Elizabeth have bought themselves some time to find the rogue assassin. After doing some sleuthing – which included tracking down the man who sold the assassin explosives and Philip using his alter ego of Clark to manipulate Martha - they are able to track down the assassin and storm in on him in his hotel room. After a brief gun fight the assassin ends up blowing himself up in the bathroom after Philip and Elizabeth are able to throw the bomb he rigged in the hotel room in there with him. Unfortunately their mission is a success but a failure at the same time. While they are able to thwart the assassin from causing catastrophic damage, they get to him after he rigs the walkie talkie of an FBI Agent assigned to protecting one of the scientists. Ultimately he, along with two other agents and a scientist are killed. One thing about the show that I am starting to find annoying is the yo-yo of emotions that go on between Elizabeth and Philip. It’s a guarantee that each week they will love each other and want to be in a true committed marriage and then it will go back to them just using their marriage as a front. This week was no exception. During a meeting with Elizabeth, Claudia – aka Granny -- tells Elizabeth that Philip slept with Irina during his trip to New York. As you may recall, in last week’s episode Philip goes to New York to complete a mission and is reunited with a former love (Irina.) While in New York they sleep together but when Philip returns home and Elizabeth questions him about it he tells her that nothing happened. Claudia goes on to tell her that she fully trusts Elizabeth while she is on the fence with Philip since she doesn’t believe that he is 100% devoted to their cause. This information brews within Elizabeth and she confronts Philip who tells her that he was afraid to tell her the truth since he loves her and he hopes that they can put this behind them; Elizabeth is steadfast that they cannot and wants their “marriage” to be the arrangement that it was meant to be. In the end Philip tells her that if she truly doesn’t want to be married to him that they could more than likely separate without any consequences but I have a feeling that that wouldn’t be so easy for Elizabeth after seeing her checking in on her children at the end of the episode. She more than likely would not want to disrupt what they have been accustomed to. What she fails to realize is that they are more of a married couple than most. Their dialogue and actions have become those of such. So maybe next week they will be back to trying to make their marriage work. I think the writers need to stick with one direction when it comes to their relationship and go with it. I understand that there are complexities due to the situation they are in but enough is enough already. Things have gotten more convenient for Agent Beeman and Nina as his superior has arranged for them to have a safe house for them to hold their meetings at. I wonder if he does this to offer protection for Beeman’s source or as a means for Beeman to cover-up his indiscretions. The first time Beeman and Nina meet there Beeman is quick to put his Russian lessons to good use and it is not long before the two of them are locking lips. Nina has her own share of good news as well by the end of the episode. She has been promoted at the Russian embassy which means that she will have access to more classified information that she can then turn over to Beeman. I’m still trying to figure out if Nina is in fact playing Beeman, who this week seems to question Nina’s motives for a moment. I guess only time will tell. I definitely think it would be an interesting twist in the plot line if she somehow brings him down. I really liked how the opening scenes of the episode had a whimsical lighter quality that's rare for this show, which then -- with Granny dropping the news on Elizabeth regarding Phillip in New York -- transitioned into much darker tones. I agree... it was definitely a nice change from the normal.